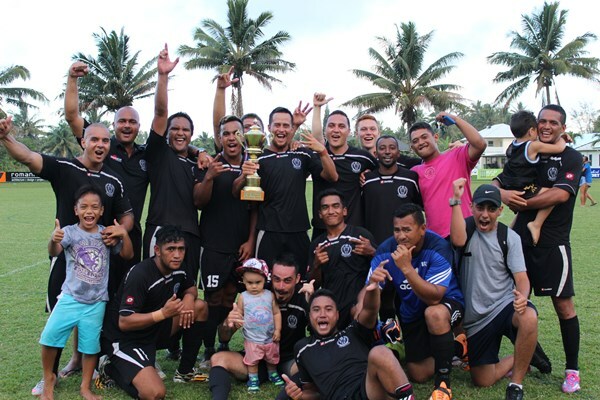 In the Premier Men’s Knock-out Finals on Saturday, Tupapa Maraerenga defeated Nikao Sokattak by two goals to nil to claim the Premier Men’s Knock Out Championship title. Tupapa Maraerenga and Nikao Sokattak displayed strong contention during the clash. Tupapa Maraerenga dominated in ball possession and created several goal scoring opportunities during the first half. In the 44th minute of play Twin Tiro of Tupapa Maraerenga blasted the ball past the goal keeper to score one goal to nil. In the second half Tupapa Maraerenga secured its win in the 68th minute of play with a beautiful goal from Campbell Best. In the Senior Women’s knockout final Nikao Sokattak defeated Tupapa Maraerenga in an exciting penalty shootout three goals to one reclaiming their Knockout Finals Championship title. In the under 17 men’s division Puaikura defeated Tupapa Maraerenga in a penalty shootout three goals to one. In the Under 14 boy’s division Puaikura beat Tupapa Maraerenga one goal to nil. In the Under 14 girl’s division Tupapa Maraerenga proved their dominance in their match against Puaikura, defeating them by two goals to one. In the popular Under 11 Mixed category Tupapa Maraerenga taking out the title honours for 2015 beating Puaikura one goal to nil. In the exciting Under 8 Mixed division Takuvaine beat Puaikura two goals to nil.